3801101 810D John Deere 810D. Wheel Forwarder TIMBERJACK. Spare Parts Catalog. Service (workshop) Manual. Operator's Instruction Manual. 3801102 1010B John Deere 1010B. Wheel Forwarder TIMBERJACK. Spare Parts Catalog. Service (workshop) Manual. Operator's Instruction Manual. 3801103 1010D John Deere 1010D. Wheel Forwarder TIMBERJACK. Spare Parts Catalog. Service (workshop) Manual. Operator's Instruction Manual. 3801104 1110D John Deere 1110D. Wheel Forwarder TIMBERJACK. Spare Parts Catalog. Service (workshop) Manual. Operator's Instruction Manual. 3801105 1410D John Deere 1410D. 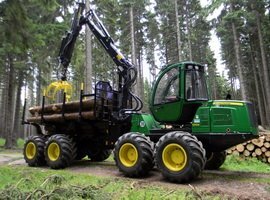 Wheel Forwarder TIMBERJACK. Spare Parts Catalog. Service (workshop) Manual. Operator's Instruction Manual. 3801106 1710D John Deere 1710D. Wheel Forwarder TIMBERJACK. Spare Parts Catalog. Service (workshop) Manual. Operator's Instruction Manual. 3801107 1711D John Deere 1711D. Wheel Forwarder TIMBERJACK. Spare Parts Catalog. Service (workshop) Manual. Operator's Instruction Manual.